Vodafone will exclusively sell Sony Ericsson's XPERIA Ray Android phone in Australia when it launches down under next Wednesday 28 September. The Sony Ericsson XPERIA Ray is best described as a smaller version of the company's flagship XPERIA Arc. Like the Arc, the XPERIA Ray is powered by a 1GHz processor, has a "Reality Display" with Sony's Mobile BRAVIA Engine, and is equipped with an 8.1-megapixel camera with Exmor R image sensor. The major difference between these two devices is size — the XPERIA Ray has a smaller 3.3in screen and therefore is a far more compact smartphone than its bigger brother. Sony Ericsson expects this small size to be a major selling point of the XPERIA Ray. "We believe the smaller size of this device, combined with Sony's world-renowned camera and screen technology, will make it exceptionally appealing to users who are looking for a smartphone that stands out from the rest," said John Featherstone, managing director for Sony Ericsson Oceania. The Sony Ericsson XPERIA Ray will be available on a range of Vodafone plans starting at $0 on Vodafone's $49 cap over 24 months. The plan includes $550 worth of calls and texts, 1.5GB of data and unlimited calls from Vodafone to Vodafone and 3. Vodafone will also offer the XPERIA Ray on other plans including $0 on the Infinite $65, $85 or $100 plans, all over 24 months. Vodafone will also sell the phone on a range of 12 month contracts, detailed below. The XPERIA Ray will be exclusive to Vodafone for three months from its release date. The full list of Vodafone plans available with the Sony Ericsson XPERIA Ray. "We are excited to bring the amazing Sony Ericsson XPERIA Ray to Vodafone on a range of competitive plans," said Ross Parker, general manager of devices at Vodafone. For those who think larger smartphones are too big to handle, the XPERIA Ray is expected to offer a valid alternative without compromising on many features. The main absence is a HDMI-out connection that comes standard on the XPERIA Arc: this would have allowed the XPERIA Ray to be connected to a high definition television to watch videos and view photos captured on with the phone's camera. The Sony Ericsson XPERIA Ray is also one of the first Sony Ericsson smartphones that will ship with 'Facebook inside XPERIA', software that integrates Facebook into commonly used areas of the phone including the picture gallery, music player, phonebook and calendar. 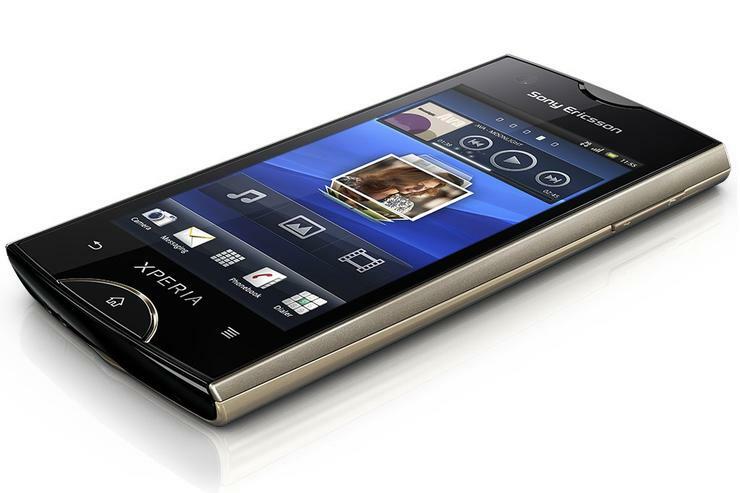 The Facebook inside XPERIA feature will eventually be available across other Sony Ericsson XPERIA handsets through a software update.